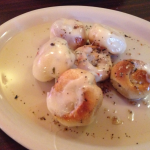 Mama D’s Italian Restaurant in Calvert City, Kentucky – Amazing! You cannot judge a book by its cover. You cannot judge a book by its cover. You. Cannot. Judge. A. Book. By. Its. Cover. We spend a lot of time in the Kentucky Lake and Land Between the Lakes region of Kentucky. Beautiful Lakes, several Kentucky State Parks, fried catfish, the Elk & Bison Prairie, The Homeplace – some of our favorite things in the world are in this beautiful area. Just try and keep us away! We have countless (COUNTLESS) times driven right by Mama D’s on U.S. 62. 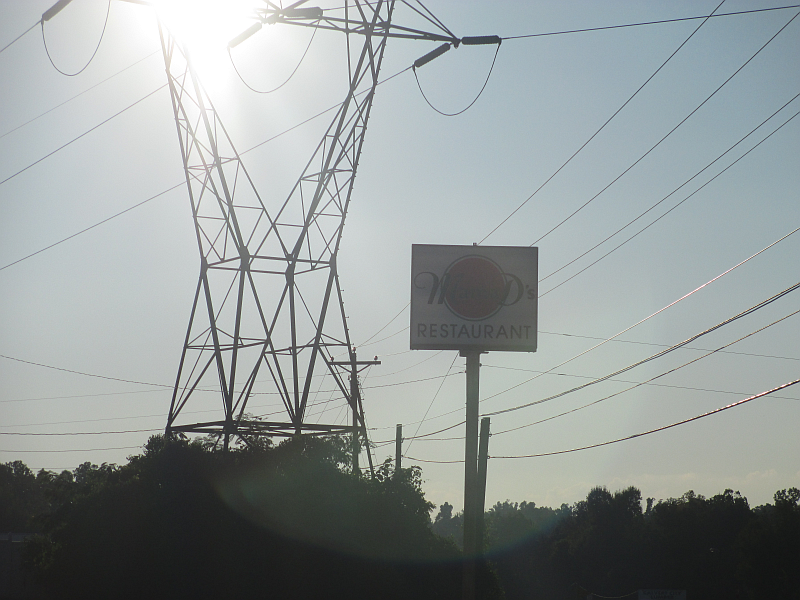 We had never even looked at the words that are clearly (CLEARLY) hung on the front of the restaurant – Mama D’s Authentic Italian, and yet – there they are in plain sight. We each had simply assumed it was a diner-meets-dive type of place. Boy was I wrong. In fact, I don’t know when I’ve ever been so wrong. In my defense, Mama D’s Italian Restaurant is only 6 years old this year. So, before they turned this spot into a little piece of Culinary Heaven, maybe it was a diner or a dive or something in between. 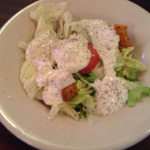 I’m not sure words can even describe how far removed Mama D’s actually is from this type of place, but I’m going to summon up all the words I know in this restaurant review and give it a go. I’ll give you a map with directions at the end – believe me, you’ll want it. When we walked in, my first impression was, “Wow! How pretty!” The colors, decor, and murals on the wall were very unique and, somehow, relaxing and soothing. Whoever was in charge of choosing the color scheme did a bang up job – it’s lovely. There were quite a few people dining in Mama D’s that evening, so I had to wait a little bit for a few tables to clear out before I could snap a few pictures – I didn’t want anyone thinking I was some kind of a nut job. Another impression left upon me was how incredibly clean and spotless everything was. Sure, I’ve seen clean restaurants before (in fact, most are) but I would have eaten off of the floor , baseboards, or wall. Don’t ask how you can eat off a wall… frankly I have no idea. But you get the point. 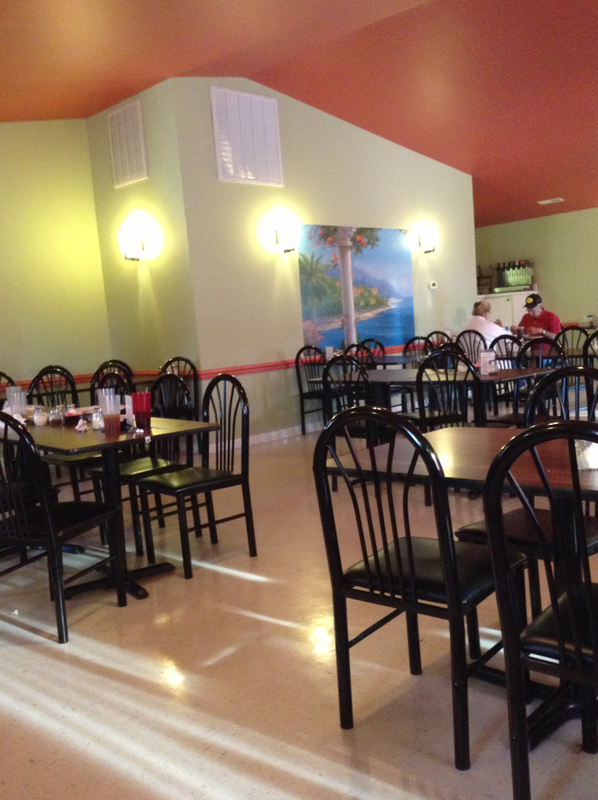 C-L-E-A-N.
Holy cats, this restaurant is spotless. I also loved our server. She was equal parts sassy and sweet and if I owned a restaurant, I’d want an entire staff just like her. She knew the menu and foods inside/out and was able to make fantastic suggestions. She wasn’t just “on her game,” she improved upon the game. I was even more impressed with her than the beautiful colors! Topping Choices: pepperoni, Italian sausage, ground beef, ham, mushrooms, green olives, broccoli, spinach, onions, garlic, banana peppers, anchovies, black olives, and a lot more. I ordered the Lasagna, while Michael went with Chicken Parmesan. He chose Linguine as his pasta. We both got a side salad and bread with our meals and ordered “Garlic Knots” (with mozzarella cheese added) as an appetizer. 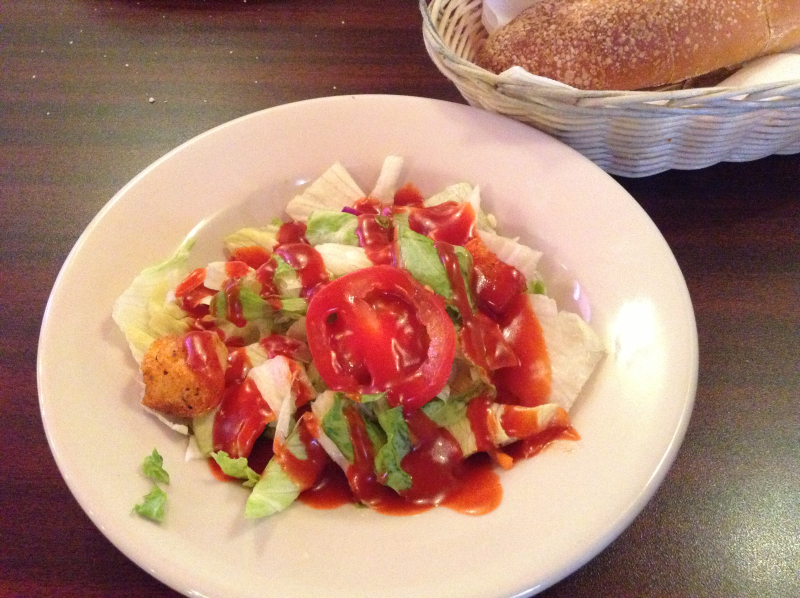 Just feast your eyes on this gorgeous appetizer in the picture above. They were beyond amazing. The appetizer was out almost immediately and it was super, super fantastic. 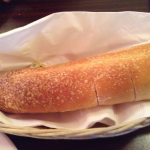 The bread was obviously homemade and the flavors were straight up Italian – just what you’d expect in an authentic Italian restaurant. 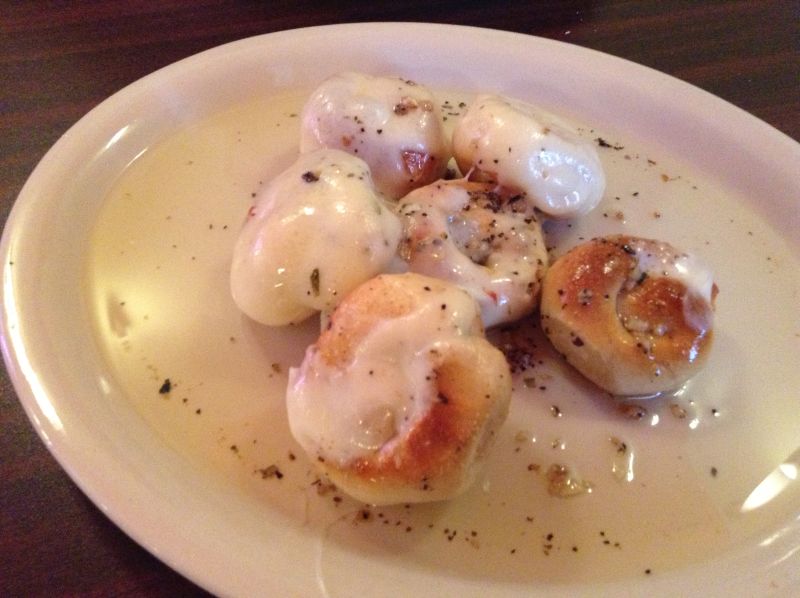 There was a wonderful flavor of garlic that made it even more extraordinary. The mozzarella cheese was a wonderful addition, but make no mistake about it, the knots would have been just as fantastic without them. 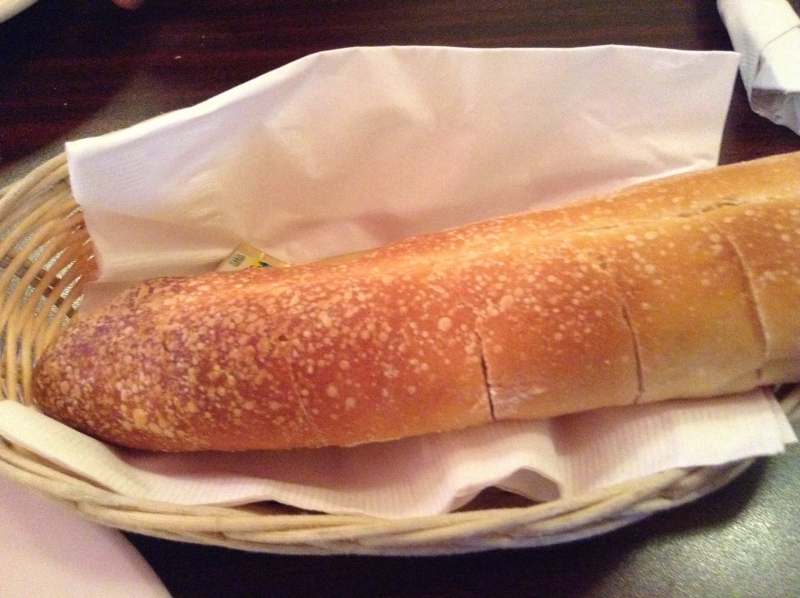 The beautiful loaf of bread (served with real butter, always a beautiful touch) was also delicious. As I’ve said many times on Genuine Kentucky, I love to cook and baking bread is one of my favorite things – so I can tell when bread is fresh and homemade and when it was frozen in a previous life. This was, quite honestly, some of the best bread I’ve ever had in my life. 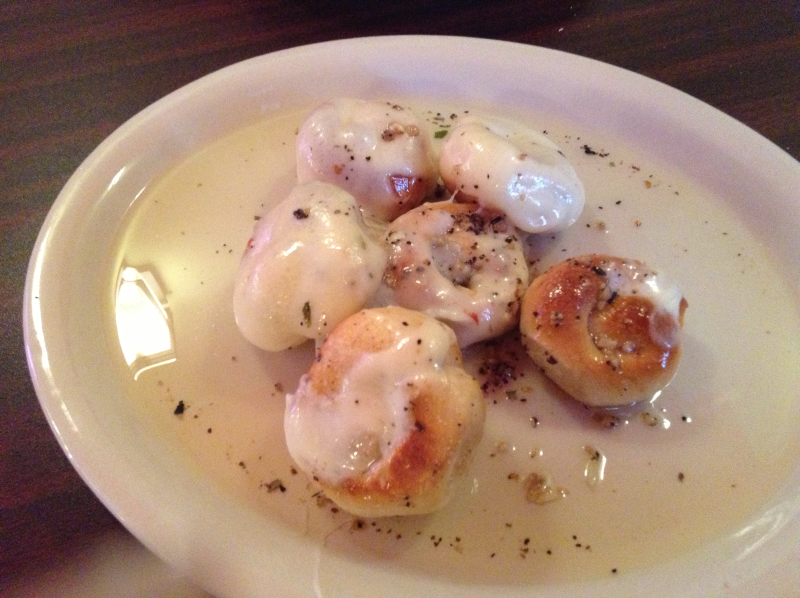 At this point – with an appetizer that blew us away and bread (with real butter… get the idea that that’s huge for me?) that was mouth-watering – I knew we were in a special place and that the “main event” would be something we wouldn’t soon forget. Ding! Ding! Ding! I nailed that one. First up, my lasagna. The lasagna was what I can only affectionately call, “Freaky good.” It looked completely unlike any lasagna I’ve ever seen (or baked) in my life. Just look at the picture above – I’m almost certain it’s unlike anything you’ve seen as well. After eating the garlic knots and bread like I’d been cut off from food for 4 months, I knew enough to trust whomever was in the kitchen, so I didn’t bat an eye. I just dove right in. OH – MY – GOODNESS. 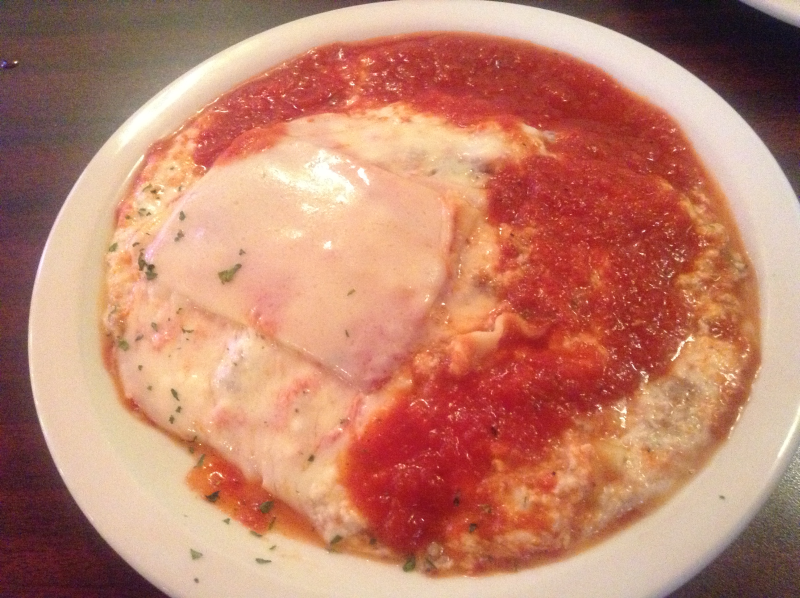 The flavors and deliciousness of this lasagna were even more unique and original than its looks. Ironically, the same can be said for the restaurant the lasagna’s made in. This freakishly fantastic lasagna wasn’t just one of the best lasagnas I’ve ever had, it was one of the most memorable foods I’ve ever gotten in a restaurant. Anywhere. Anytime. Yes, it is that good. 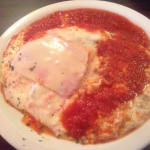 The flavors defy description – suffice to say they’re genuinely Italian. I guess Mama D’s lasagna is a two-story condominium whereas others have three or more stories. Whatever, all the key components are there – ricotta, meat, pasta, mozzarella, and the best sauce you’re going to find anywhere. So much deliciousness, you won’t be able to believe it. 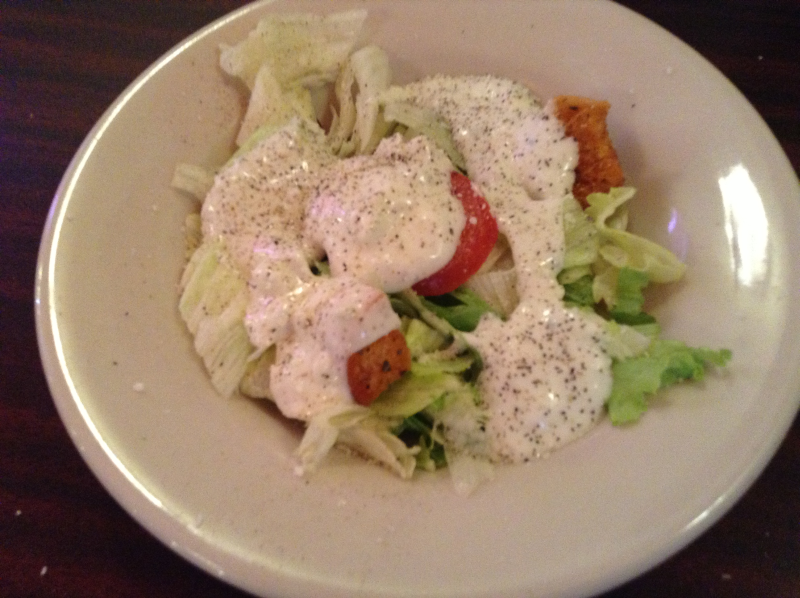 Even our side salads were fantastic. 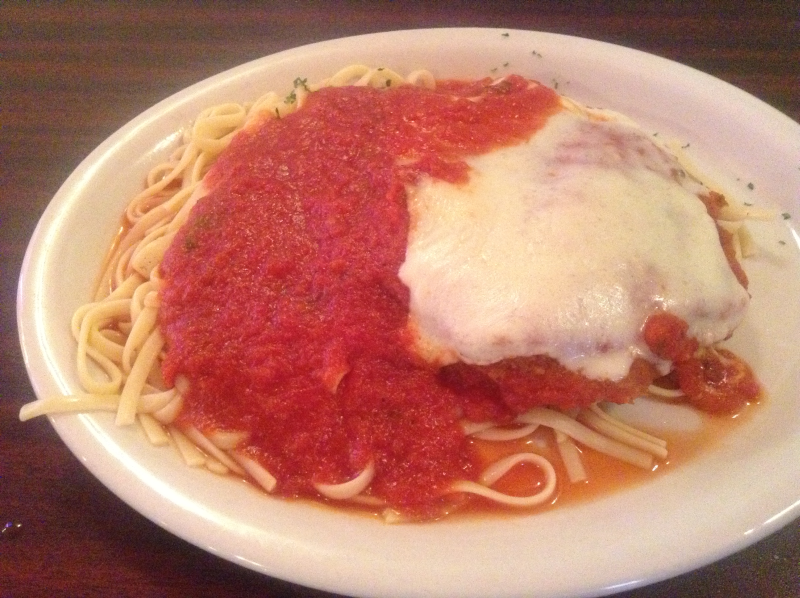 Michael’s Chicken Parmesan and linguine were absolutely delicious. Even if you took the sauce, cheese, Italian seasonings, and pasta away – the chicken was so fantastic, it alone would have been worth the price of admission, so to speak. Speaking of prices, Mama D’s is incredibly fair. 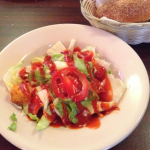 They offer different specials at lunch and dinner which make them EVEN more affordable. You get a great deal of delicious food for a very fair price. What more could you ask for? Italians are known for living large – and when you eat genuine, authentic Italian food, that attitude comes through in every single bite. I’ve never, ever, ever seen this truth played out more beautifully than at Mama D’s. 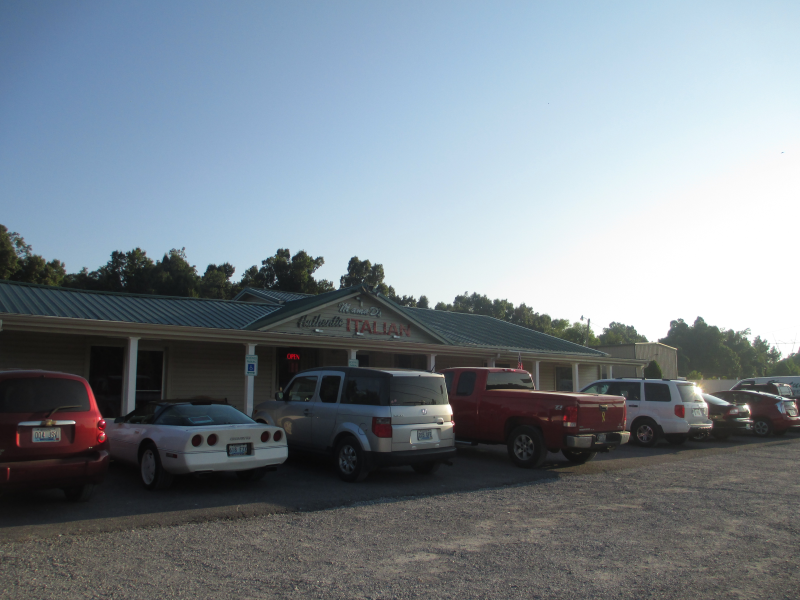 You simply have to find your way to Calvert City, Kentucky as soon as you possibly can and enjoy an authentic Italian meal that’ll leave you utterly speechless. Don’t even think of passing this sign! 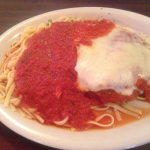 Turn in and enjoy Italian food the way it’s meant to be enjoyed! I just added a photo album for Carter Caves State Resort Park pictures to the Kentucky Pictures gallery. The one above is probably my favorite one of the group. 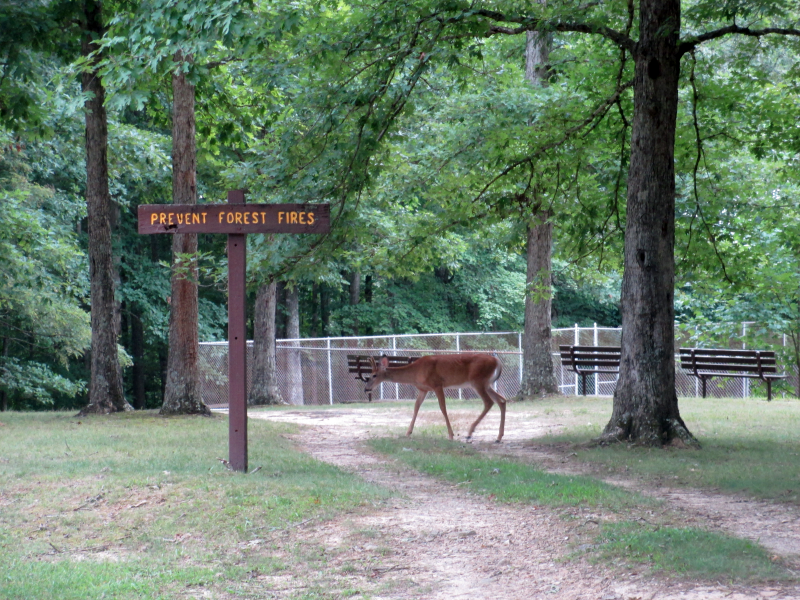 The fragile, beautiful deer beside the “PREVENT FOREST FIRES” sign is, as far as I’m concerned, a clear case of a picture saying a thousand words. Given the fact that we live in Western Kentucky and Carter Caves State Park is in Eastern Kentucky, we don’t spend a lot of time at Carter Caves. Hopefully we’ll make our way back there soon, though, and I’ll add a lot more pictures. Unfortunately, when we were there, it was beginning to get late, so we didn’t have a lot of time. We did have long enough to realize that this is yet another ridiculously beautiful Kentucky State Park. I hope you’ll visit the Kentucky State Park’s Carter Caves State Resort Park pages and read all about this beautiful park. You’ll realize that there are at least 101 reasons you need to plan your visit as soon as possible. The chocolate beauty shown here was even more delicious than it looks. I know, how’s that even possible?! 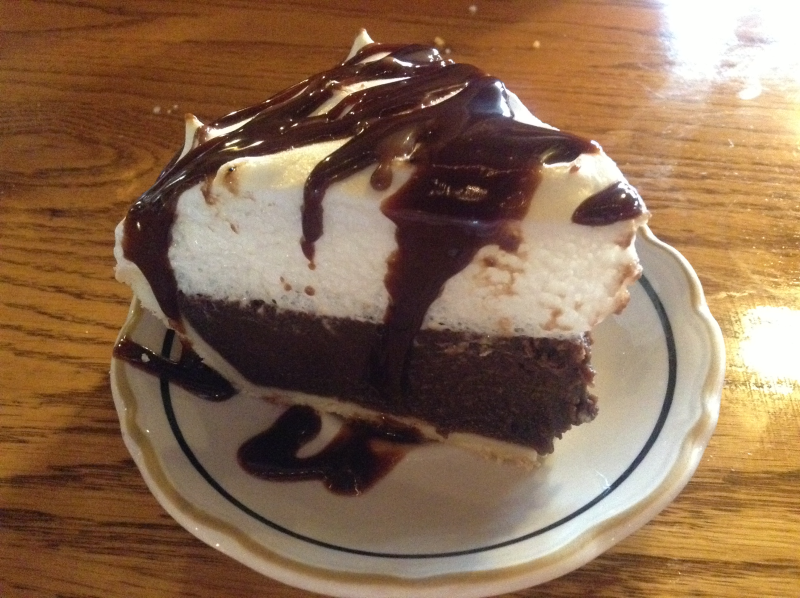 The meringue just melts in your mouth as the chocolate makes you glad to be alive. 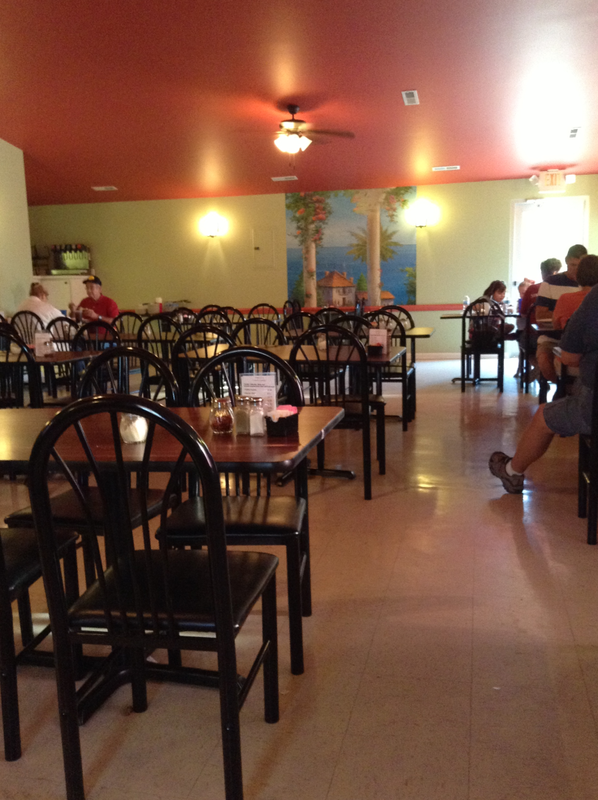 I just updated my original Shady Cliff Restaurant review to highlight our second visit. Let me just set the stage (or table, as it were) for you.Think smoked pork chop, rolls, green beans, chocolate pie, sweet tea…. 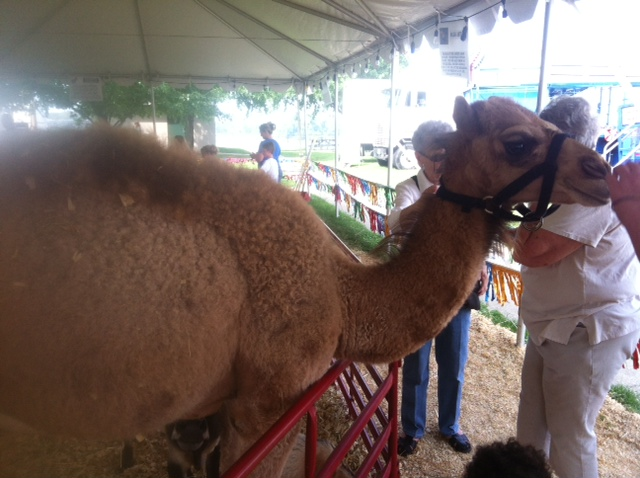 This beautiful camel was one of the attractions at Owensboro’s Riverfront Fair this year. My daughter Brittany, who’s an animal lover like her mom, took the pic. I’ll add other pictures she took to the Owensboro Picture Album either tonight or in the morning. My beloved St. Louis Cardinals play tonight, so it’s looking more and more like I’ll be adding them in the morning! If you live for the summer, I apologize ahead of time for my excitement – but I LOVE autumn like nobody’s business. Pumpkins, Thanksgiving, colorful leaves, seasonal drinks at Starbucks, sweet potato pie, football season, college basketball… I get even giddier when talk turns to autumn. I guess that’s why I couldn’t help smiling ear to ear when I saw this event notification in my e-mail: End of Summer Blast at Pennyrile Forest State Resort Park. We’re (almost) approaching the end of summer, and that means my good friend Autumn is just around the corner. The beach at Pennyrile Forest State Resort Park closes after Labor Day weekend. so they’d like to extend invitations for their End the Summer Beach Blaston Saturday, Aug. 31. Activities include beach volleyball, limbo contests and more. Barbecue plates will be sold for $7 per person and will include barbecue, two side dishes, a roll and beverage. Food will be served from 11 a.m. to 2 p.m. near the beach shelter. Music will be provided by a disc jockey from 4-8 p.m. Bring a beach chair, umbrella, towels and the whole family to close out the summer. No alcohol is allowed. The park is offering lodging and meal packages. One night with two Saturday lunches is $125. Two nights with two Saturday lunches is $225. Additional lunches may be purchased for $7 a person. Call the park at 270-797-3421 for reservations and details. 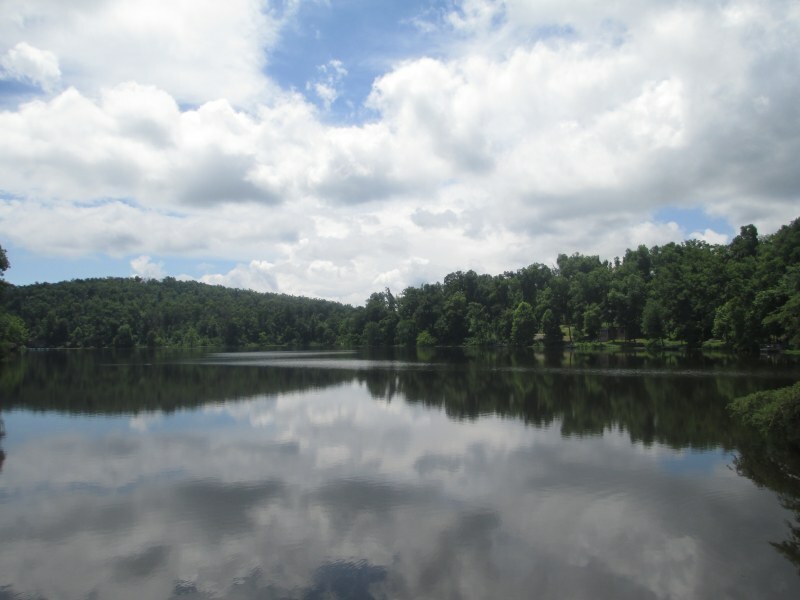 Pennyrile Forest State Resort Park has a lodge, cottages, restaurant and hiking trails. The resort is 20 miles northwest of Hopkinsville on KY 109 N. From the Western Kentucky Parkway, exit at Dawson Springs and take KY 109 S.
Speaking of Pennyrile Forest State Resort Park and Autumn (two of my personal favorite subjects), you HAVE to make plans to visit Pennyrile this Autumn – as many times as possible. It’s just breathtakingly gorgeous when the trees put on their colorful Autumn attire. Seriously, it’ll leave you speechless. The same can be said for just about all of the Kentucky State Parks – they’re beautiful year-round, but Autumn is a show unto itself. Last year we hit Pine Mountain State Resort Park at the perfect time – it made for some amazing pictures (see Pine Mountain State Park Pictures).